#PubDay Author Interview | Chattering about her debut #SwoonReads Contemporary YA Romance “Small Town Hearts” – Jorie interviews Lillie Vale! I have been showcasing quite a few Swoon Reads authors since I started hosting for Xpresso Book Tours – this is wicked lovely as I first came to recognise Swoon Reads when a fellow book blogger first told me about her appreciation for reading their stories. She’s since left the book blogosphere and opted to return to University; however, it always struck me that at some point in my readerly life, I ought to start to pick up the stories being published by Swoon Reads. 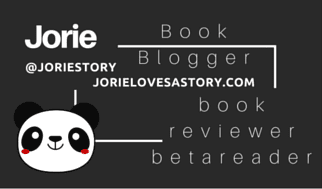 Hence why you’ve seen an influx of authors by this publisher arriving on Jorie Loves A Story via guest author features like today’s interview with Ms Vale! There were a few quirkily clever things about this particular YA Contemporary Romance which intrigued my eye towards wanting to a) read it and b) feature the novelist: it was set in a small coastal towne in Maine (for a girl who likes New England, that was a bit of a no-brainer! Go Sox! ), it has a pro-positive LGBTQ+ narrative and it is a Contemporary Rom. The latter being the icing on the cake for me as Contemporary Romances are hit/miss with me as you well know if you’ve been spending time digging round my archives and/or have been a long-time reader of my blog. 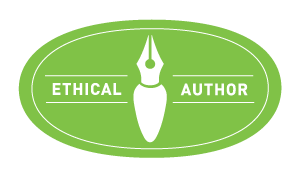 I vacillate between reading mainstream & INSPY Contemporaries these days – however, I always manage to find quite a few Contemporaries in mainstream which make me ‘swoon’ after them; thus I am wicked happy to say I am *celebrating! * this lovely new YA Contemporary on its #PubDay! In truth – the author mentioned she doesn’t consider this a YA Contemporary Rom inasmuch as a straight-up coming-of age Contemporary YA – I am thrilled either way, as finding strong stories which have convicting plots and a strong balance of contemporary life & issues is something to celebrate as much as finding a contemporary set story-line which seeks to represent a realistic impression of a girl coming-of age in our modern world. Give a hearty welcome to debut novelist Lillie Vale & let’s tuck close to this convo where we explore not only the setting and the characters of “Small Town Hearts” but her writerly process to bring this story to life! If you’ve already earmarked this one to read OR were one of the lucky few who read it as an ARC – I’d love to hear your thoughts & comments in the threads below this interview! Likewise, if this is your first visit to my blog – guest features & convos are best accompanied with your favourite cuppa & brew – where you can settle in, enjoy the feature and stay a spell visiting with me and my guest author. May this new release have a plotting which will tempt your readerly heart as much as it has mine. Lillie Vale, upon discovering she could not be one of Santa’s elves or attend Hogwarts, decided to become a writer to create a little magic of her own. Enjoying the romantic and eerie in equal measure, she’s probably always writing a book where the main characters kiss or kill. Born in Mumbai, she has lived in many U.S. states, and now resides in an Indiana college town where the corn whispers and no one has a clue that she is actually the long-lost caps lock queen. She can be reached on Twitter and Instagram (which are linked in this bio). Small Town Hearts is her debut novel. Author Interview | Whilst Jorie prepares for her 2nd Year co-hosting #WyrdAndWonder, she finds a cleverly writ new Fantasy novelist who has intrigued her with her story within “Beware the Night”, as this convo will reflect with Jessika Fleck! I can’t believe it has almost been a full year since I co-hosted our first #WyrdAndWonder event – May 2018 launched a month of celebrating Fantasy literature and all aspects of how Fantasy entertains us during our lives. This year, I have a lot of lovely stories I’ll be reading and sharing my thoughts about whilst putting together guest author features like this lovely interview I’m about to share today! I like to keep a ready eye on the events coming through this touring company, as I have found more than one Fantasy novel I want to be reading through Xpresso Book Tours! They tend to focus on a lovely niche of stories which are intriguing to my bookish eyes and heart – this particular one was unique as it is hinged on the fact there are two different ways to live within this particular world. The concept I felt was rather brilliant, as it shows a lot of depth of purpose within the world-building – of how you can be anchoured through two unique perspectives of how life is organised on this world whilst you gather there is a lot yet to be known. The best kinds of Fantasy is where you have a full suspension of knowledge – meaning, you walk into the story where everything feels new and unique; to where you have to take your time to become familiar with how the world is set and what is happening to the characters therein. I am going to try to get my library to consider this for purchase, as I would love to read it for #WyrdAndWonder this year – however, if it that is not in the cards, I am wicked thankful I can bring this interview to my readers! In regards to #WyrdAndWonder, I will be talking more about this lovely event as we enter our 2nd Year late tonight as I am still developing my thoughts to share about what I am looking forward to most this coming May and how I will be celebrating the event! Lots of planning still left to do and I will be overjoyed once my first post goes live to properly help ‘announce!’ what our plans are this year for the event! Remember you can follow our announcements and the joy of the event via @WyrdAndWonder on Twitter or the tag routes to participants and co-hosts alike via #WyrdAndWonder on both Twitter and bookstagram! As always, my conversations are best enjoyed with your favourite cuppa, a comfy place to sit and a curiosity about the series at hand! IF your cuppa involves tea, kindly let me know what your current favourite brew is below the conversation! You’re a soul sister – honestly, no one I know talks as openly about their preference for Winter over Summer online! When I read you would love snow over sunshine I seriously was chuffed! !